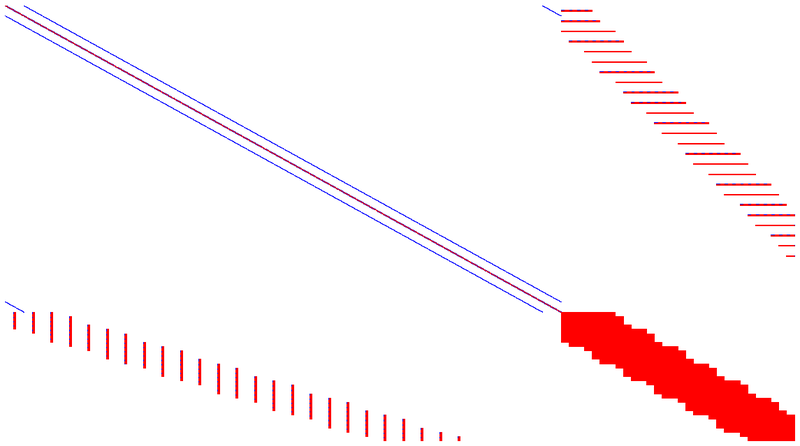 Chuang, Pi-Yueh; Barba, Lorena A. 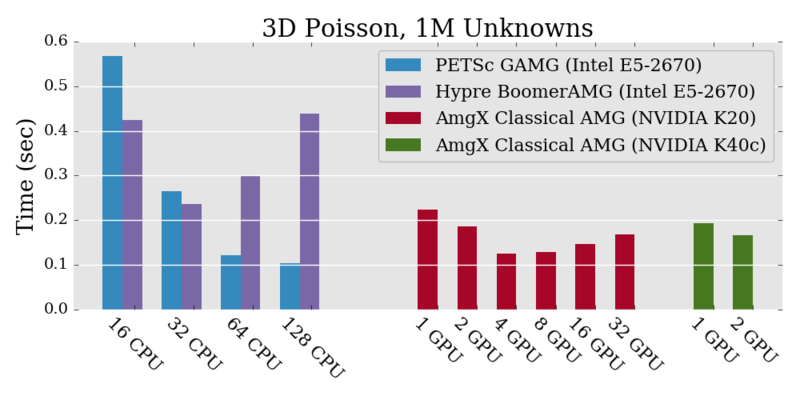 (2017): Using AmgX to Accelerate PETSc-Based CFD Codes. 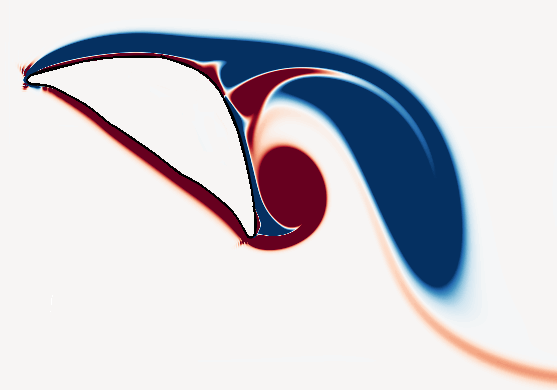 figshare. 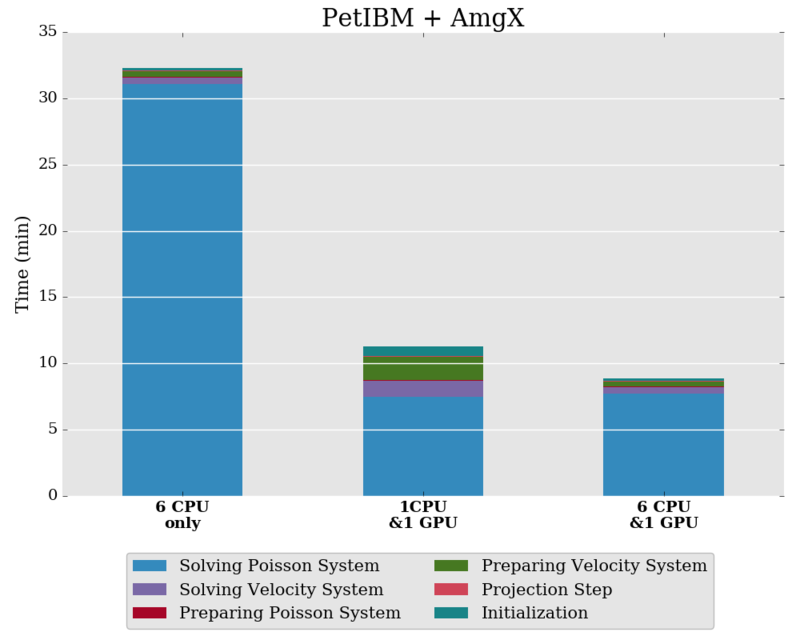 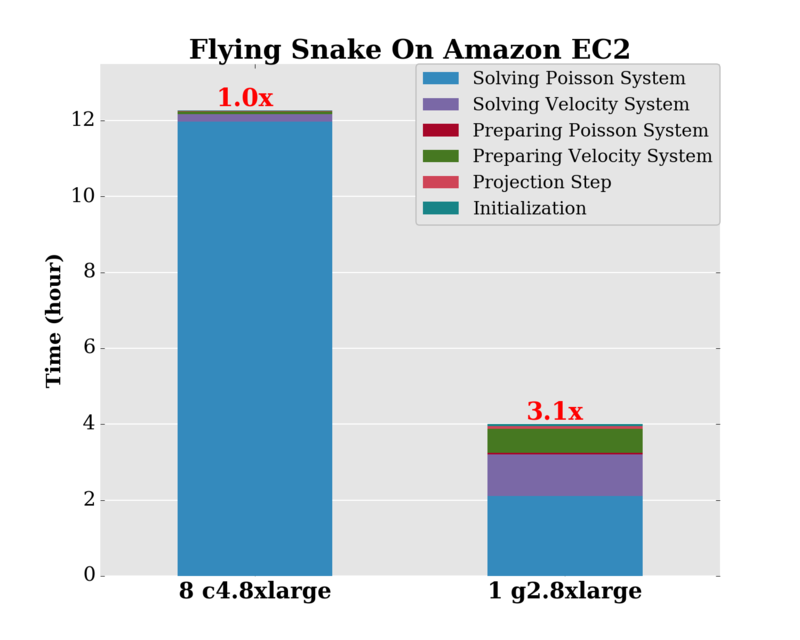 The file set includes a Jupyter notebook that reports how we accelerated our PETSc-based CFD solver, PetIBM, with multi-GPU capability enabled through AmgX library. 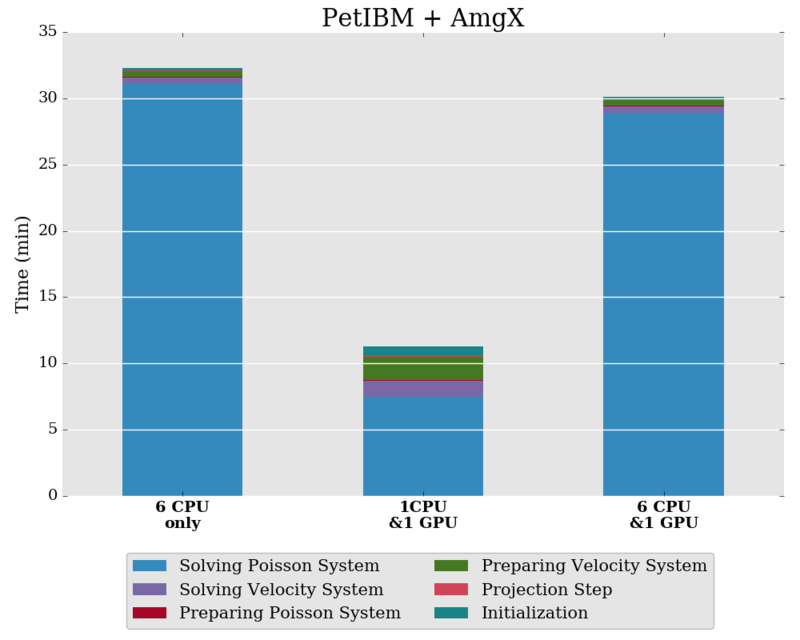 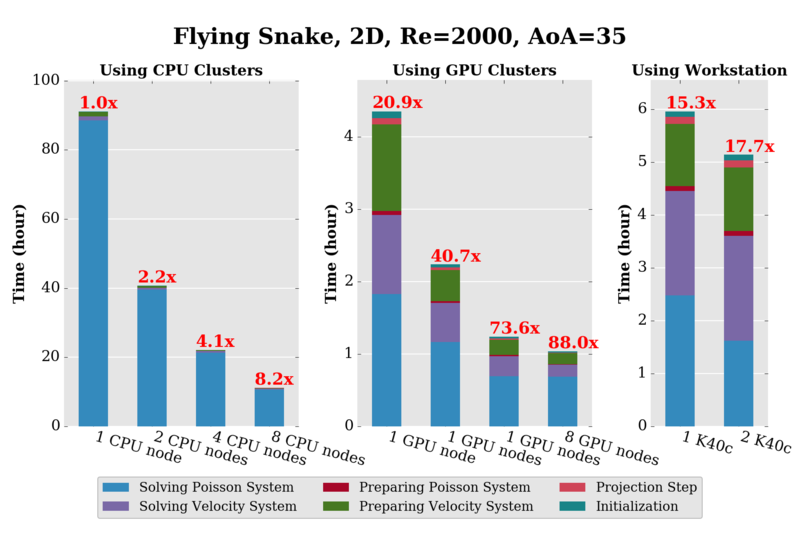 PETSc, developed by Argonne National Laboratory, is a toolkit for parallel scientific computing. 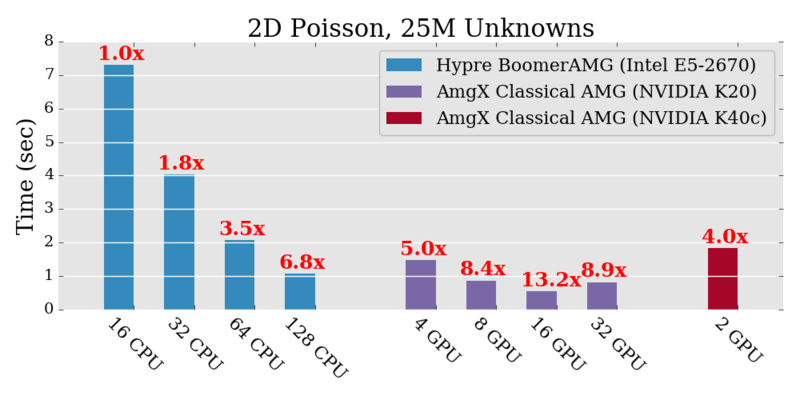 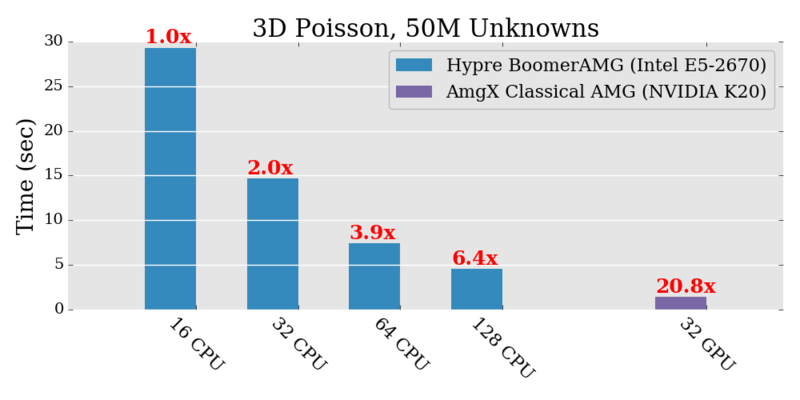 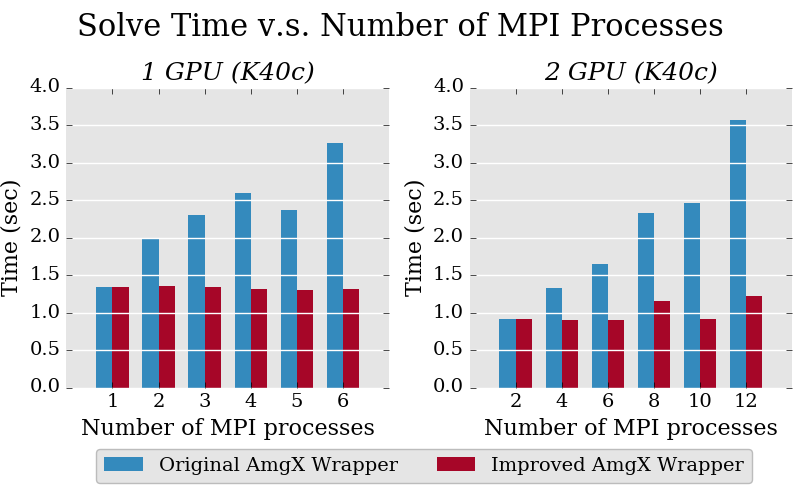 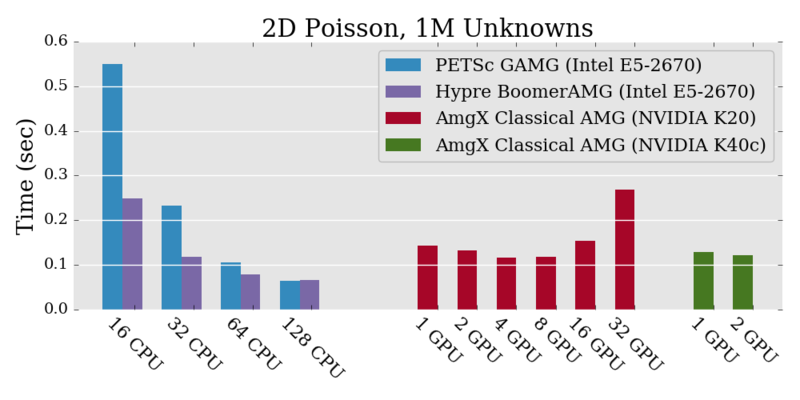 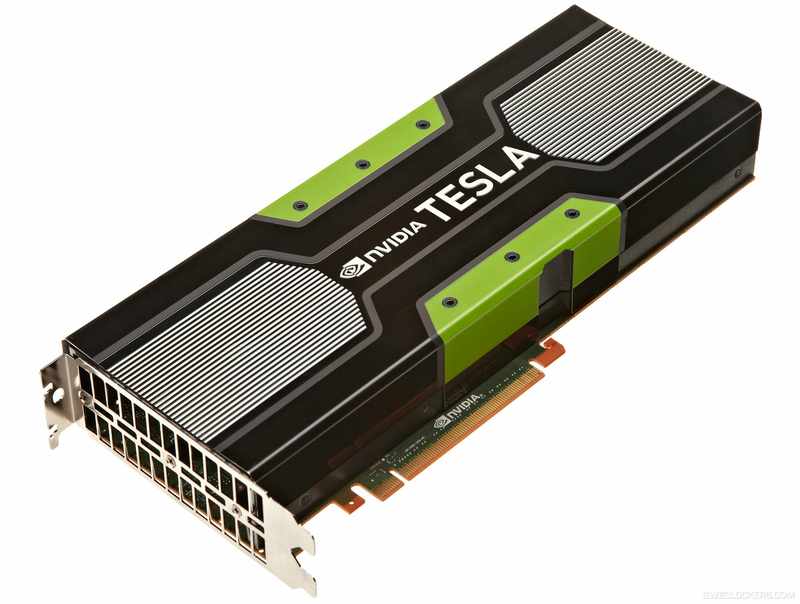 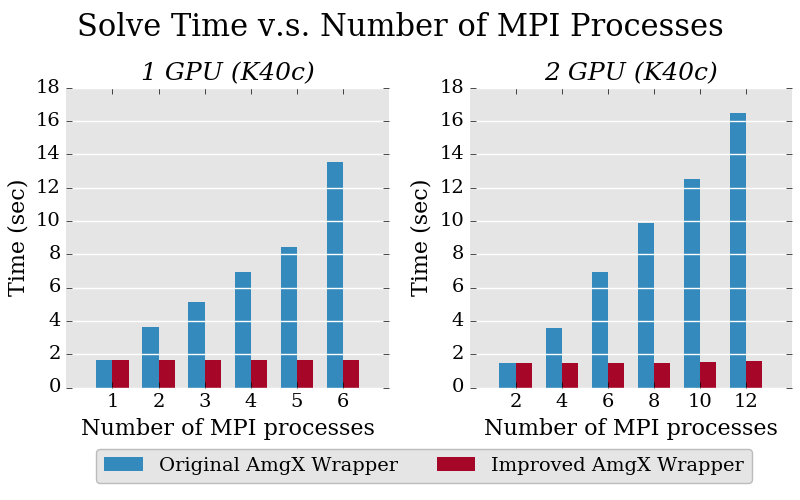 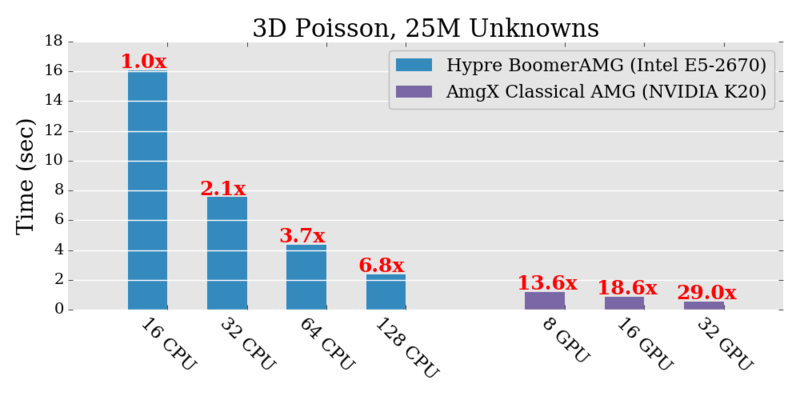 AmgX is an NVIDIA library providing multigrid preconditioners and Krylov linear solvers. 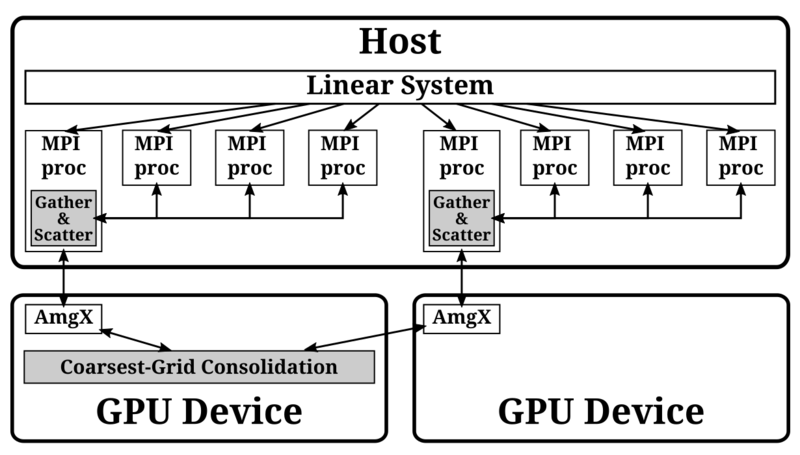 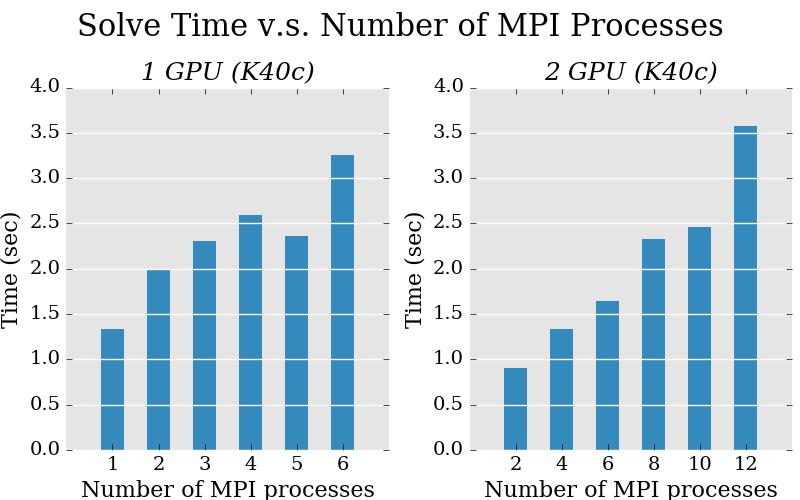 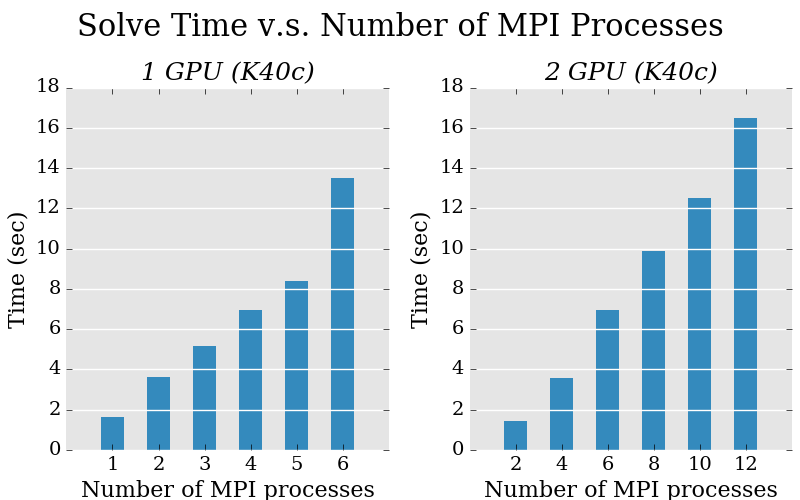 It features the capability of multi-GPU computing through MPI. 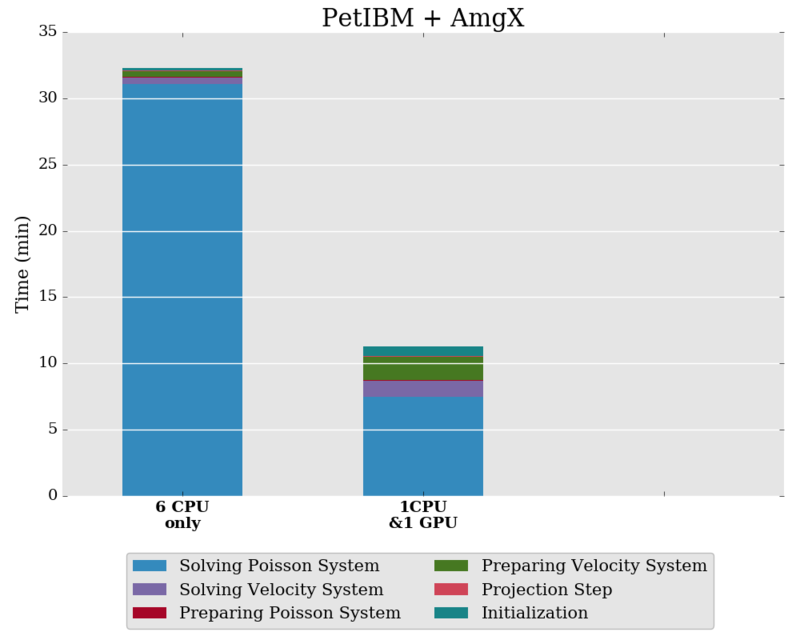 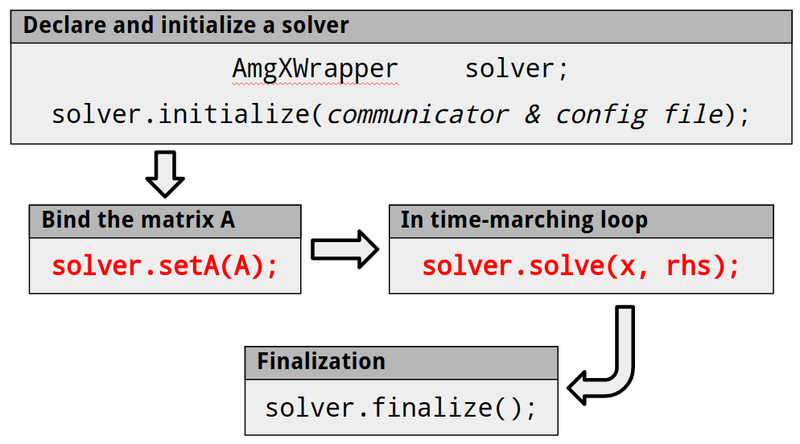 We developed AmgXWrapper to couple PETSc and AmgX, so that we can easily integrate AmgX into PetIBM with less than 10 lines of code modification.